If you own of a large breed of dog, for example a German shepherd, a Doberman or even a Great Dane it is important that you provide a comfortable place for your dog to sleep. Large breeds of dogs require large dog beds in order to rest comfortably. There should be adequate room in the large dog bed so that your dog can stretch out to its full length and still be comfortable. This will ensure your dog will enjoy sleeping in his large dog bed and is less likely to want to sleep on your furniture. There are many types of large dog beds for you to select from. Check out the online pet shops in your search for a bed for your pet or you may choose to make your own large dog bed. Firstly you will require some type of padding; a large pillow from a craft store is ideal. When you’re at the craft store grab some fabric for the cover also. If you know how to sew in a zipper or Velcro style of fastening you will be able to make a removable cover for the dog bed. You can also use buttons or snaps. Be creative and find out what will work best for your specific large breed dog bed. Select a color or pattern of fabric to suit your pet or your home décor. Before you know it you will have created the ideal bed for your dog at a fraction of the price of a bought dog bed. If you’d prefer to purchase a ready made dog bed Beasley large dog beds are a good choice. The inner cushion can be removed for cleaning while the outer cover and bolster are removable and fully washable. Their couch shape provides comfort for your dog who should be very happy with this selection. Prices for an extra large Beasley dog bed are very competitive and you will find online retailers who offer free shipping. You can choose from a wide range of colors to suit your dog and its personality. If you are on a tighter budget, you can choose a lower priced dog bed. They have a range of sizes to choose from. The donut-shaped dog bed is a popular choice with pet owners. These are suitable for any dog and can be purchased for as low as $30. A bargain price, while still providing your dog with the comfort he deserves. 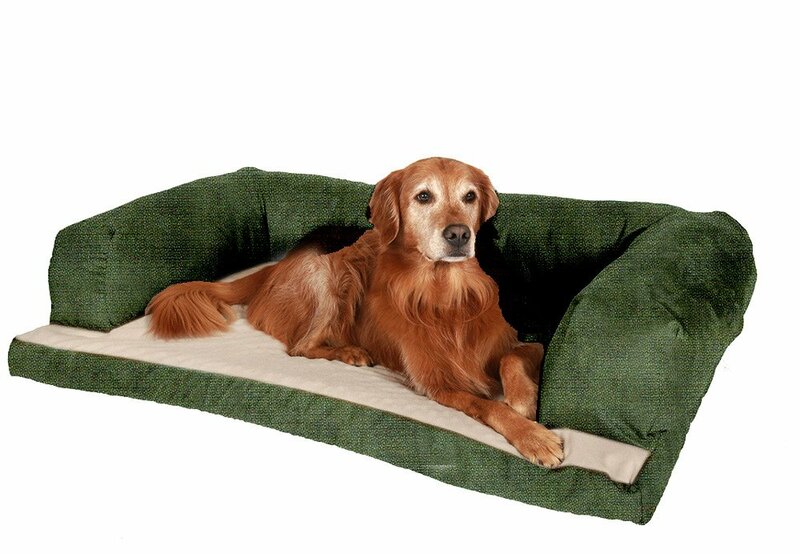 In addition to the large dog bed, you can find many more dog supplies for your favorite pet. These include leashes and designer collars, dog bowls and even items of dog clothing to suit your large breed of dog. We all like to pamper our pets, and there are several places you can go to find all the dog supplies for your extra large dog. Most pet stores and discount stores have a large selection of dog toys, bones, and dog blankets as well as crates and kennels and large dog beds.